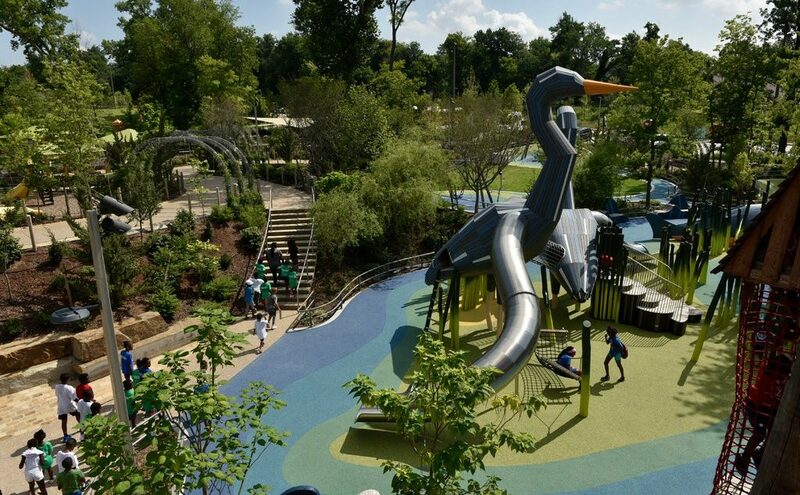 Gathering Place is a much-anticipated park that opens Sept. 8 as one of the most ambitious public parks ever created with private funds. The park’s founders and community leaders hope it can bring families together and help mend a city with a legacy of segregation. 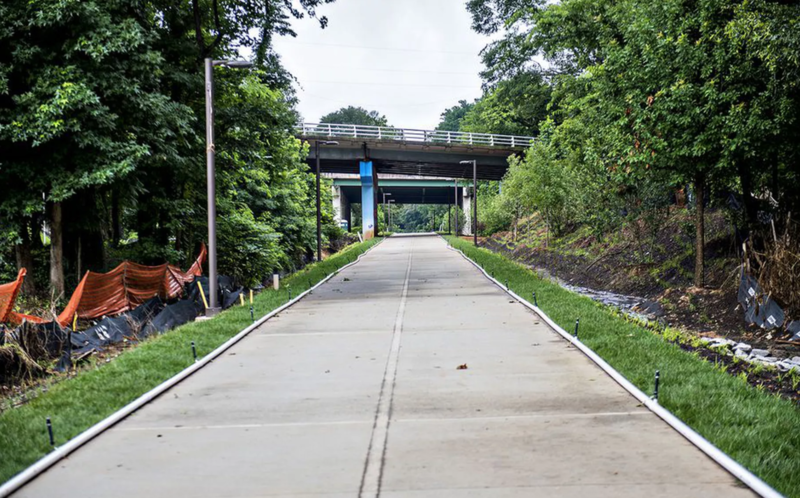 The City of Atlanta and the Atlanta BeltLine, Inc. purchased the final segment of the inactive rail corridor needed for the 22-mile BeltLine project. In addition to stitching together the main BeltLine loop, this segment creates opportunities for future trail connections. The United States displays deepening fissures across and within cities by income, education, and race. A new study published by the University of British Columbia analyzed 10 metro areas in the US—including Houston, Chicago, and New York—and found that access to green space is significantly linked to higher education and income levels. Comptroller Scott Stringer has outlined his own proposal to save the crumbling Brooklyn Queens Expressway. Stringer proposes converting the BQE into a truck-only highway with a linear park on top that would stretch for almost two miles. The project’s scope is unprecedented in the US—nearly all capital projects seen in the country cover car-only freeways, unlike the BQE, which carries approximately 14,000 trucks per day. Denmark’s capital needs to find a way to repurpose 30 million tons of soil leftover from development projects like the city’s metro expansion. Brian Mikkelsen, head of the Danish Chamber of Commerce, wants nine new islands to form a tech hub and to create a buffer between the city and its rising coastline. Critics argue the plan will increase development and worsen the traffic congestion already present in Copenhagen’s city center. Decolonial planning is about critically analyzing the ways that urban planning in North America is rooted in European, colonial notions of property, ownership, and exploitation. “Economic development” and “urban renewal” have historically been achieved without consideration of local meanings of place and indigenous and minority rights. Deconstructing the colonial frameworks of urban planning calls for the restructuring of the industry’s relationship with finance, government, and for-profit ventures. Spending time outdoors, especially in green spaces, is one of the fastest ways to improve health and happiness. A new study published in the International Journal of Environmental Health Research shows that within minutes of entering a green space, stress, blood pressure, and heart rate can decrease. Hong Kong’s real estate market is the least affordable in the world. In a controversial decision, the government of Hong Kong announced it will seize 80 acres of land from a golf club to build public housing. Enota, an architecture studio based in Slovenia, has completed the design of a new urban park in the Slovenian port city of Koper. 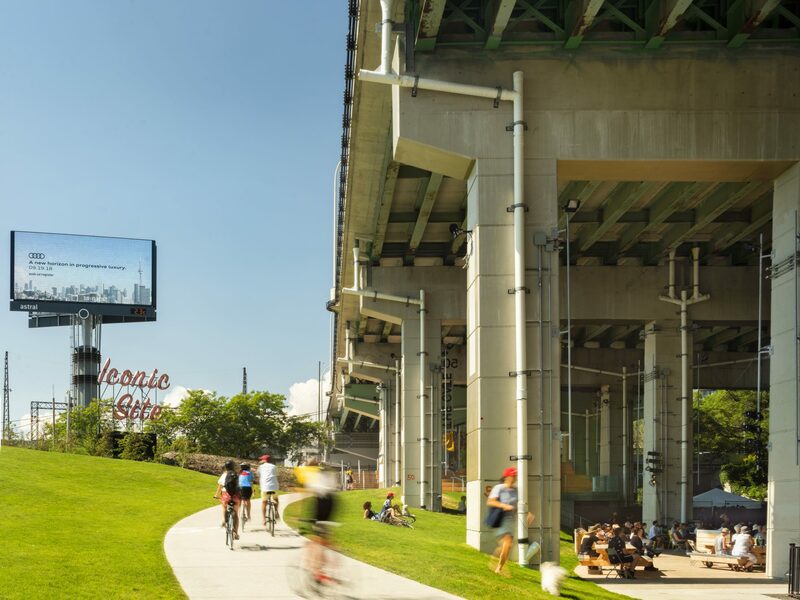 The overhaul of the site seeks to connect two separate parts of town—waterfront area and redevelopment area—into a cohesive whole. Homelessness sparks heated battles over conflicting rights—the right of poor and homeless people to make use of public spaces versus the right of businesses to deter panhandling. Cities like Denver have created urban camping bans, which are spurring debates about the degree of influence that private interests, as represented by Business Improvement Districts, should exercise over the management of public space.